Mr. Louis Sailer – A veteran of luxury hospitality, Austrian-born Louis Sailer brings with him an extensive experience of nearly three decades from across the world. He is proficient at restructuring, pre-opening expertise, multi-property management, refurbishment and renovation, excellent service delivery standards. 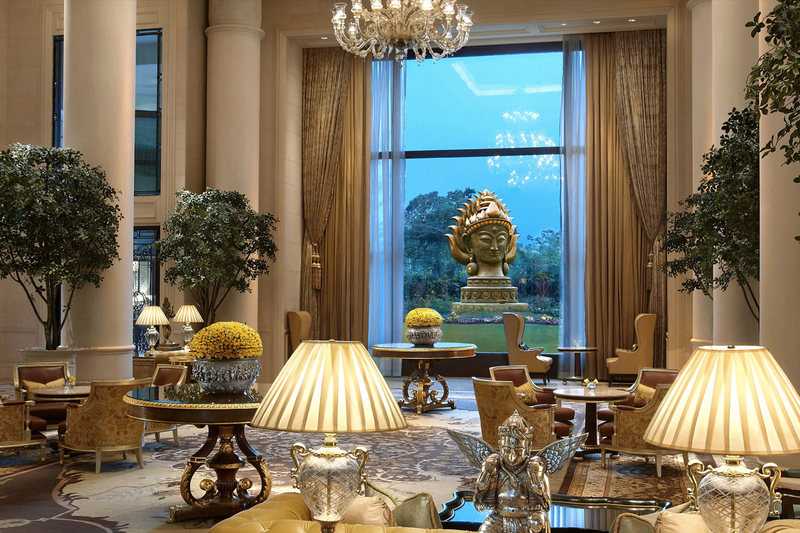 5-star luxury hotel – It has a marketing alliance with US-based Preferred Hotels & Resorts and a member of Global Hotel Alliance, Geneva, Switzerland. The Leela Palaces, Hotels and Resorts, headquartered in Mumbai,India, is owned by Hotel Leela venture Ltd, a publicly listed company. 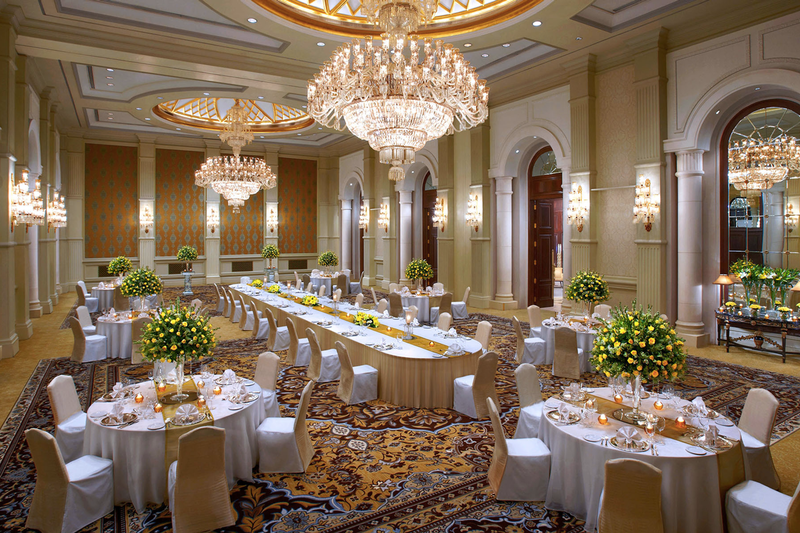 A majestic palace designed in the architectural style of Lutyens’ Delhi, The Leela Palace, Chanakyapuri, New Delhi was opened in April 2011. It is the seventh luxury hotel of the group. 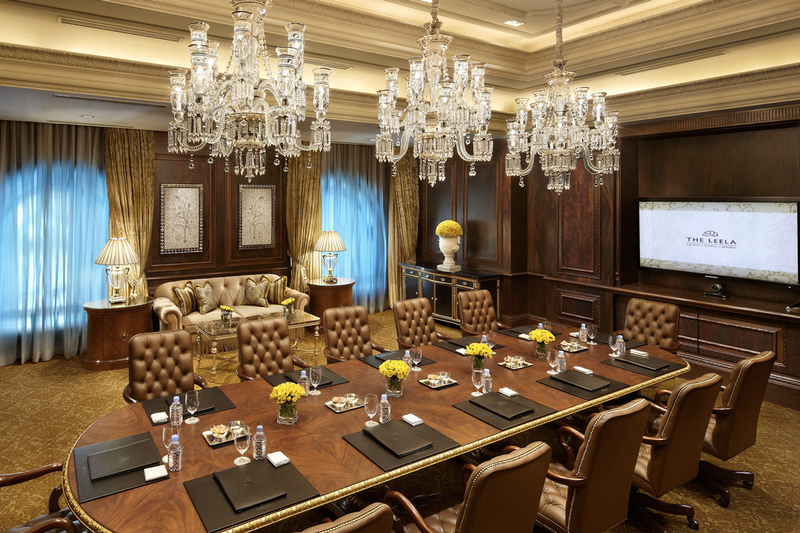 Spanning over three acres in Chanakyapuri, the hotel is ensconced near the Diplomatic Enclave which is home to a majority of foreign embassies and diplomatic missions in the capital, making The Leela Palace New Delhi an ideal choice for Head of State and delegations visits. 254 oversized guestrooms and suites, equipped with the most advanced in-room comforts, that are the largest in the city, with the smallest room measuring over 550 square feet. Temperature controlled infinity rooftop pool. 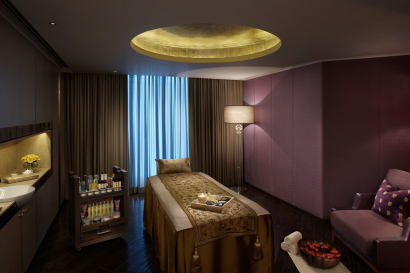 Spa by London bases ESPA, award- winning restaurants and designer boutique Amalya, Concierge services and special trip packages to Agra and Jaipur. 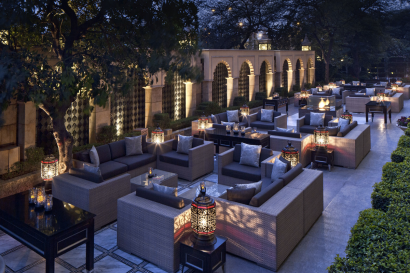 Spanning over three acres in Chanakyapuri, the hotel is ensconced near the Diplomatic Enclave which is home to a majority of foreign embassies and diplomatic missions in the capital, making The Leela Palace New Delhi an ideal choice for Head of State and delegations visits. The Diplomatic Enclave with its wide avenues on which impressive buildings house the President, Parliament and important ministries, this area has some of city’s best museums, statues, monuments, shopping complexes and central business districts. Also, in close proximity to airport and Gurgaon, the fastest emerging commercial hub in northern India and home to several multi-national companies, Delhi presents a spectrum of opportunities for the business and leisure traveler. Designers: KNA, USA; Design Studio Spin Inc. Japan; Design Wilkes, Malaysia are responsible for the interior design that evokes the ambience of a luxurious Indian residence imbued with warmth and light and accented with ancient and contemporary Indian art. All the spaces in the hotel are children friendly, we do have restriction to children below the age of 12 for Le Cirque. We do cater to needs and demands made for our young patrons. 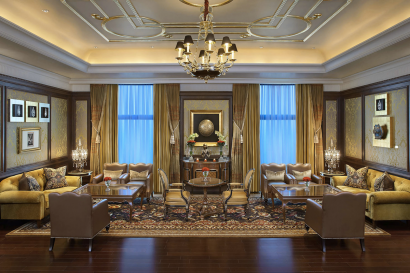 Executive Suites – 7 keys – 840 square feet, exclusive art work, hand-crafted tapestries, brocades, rich wooden floor. This two-bay suite offers a separate living room, a bedroom and connected bathroom and walk-in wardrobe. The JBL IPod dock, round-the-clock butler service, in–built Ad Nortam mirror screen, spa mood–lighting and a rain shower head in the bathrooms among many other amenities. Luxury Suites – 7 keys – 970 square feet evocative suite. 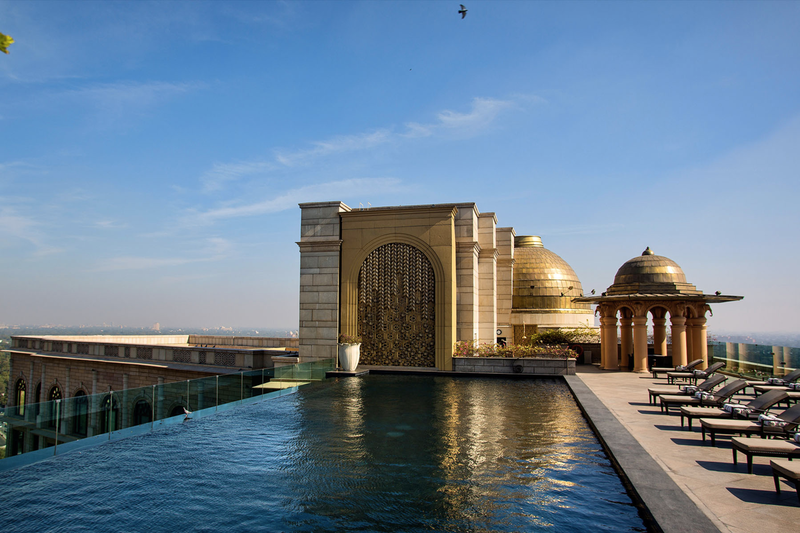 These suites comes with an option of stunning views of the well-manicured gardens with the iconic Devi statue and the city’s skyline. The features include spectacular lounge area, a separate bedroom, optional interconnecting bedroom, work desk, sprawling walk-in wardrobe, oversized bathroom, hands free speaker phones, in–built Ad Nortam mirror screen, a rain shower head and spa mood – lighting. Grande Suite with pool – 1 keys – 1090 square feet two-bay suite provide an unrivalled experience for any business or leisure traveller. Expansive living room, separate bedroom, walk-in wardrobe, sprawling bathroom, hands free speaker phones, in–built Ad Nortam mirror screen, a rain shower head and spa mood–lighting, open to sky temperature-controlled plunge pool with Jaccuzi and with a sitting area around. Maharaja Suite with pool – 1 key -. Apart from the modern in–room comforts, the guest can enjoy a private temperature-controlled plunge pool and Jacuzzi that has a seating area overlooking the city’s skyline. 1,520 square feet with expansive living room, private dining area for 8 guests, fully-functional butler pantry and an attached powder bedroom, spacious walk-in wardrobe, a separate bedroom with an attached bathroom, hands free speaker phones, in–built Ad Nortam mirror screen, a rain shower head and spa mood – lighting, Bang & Olufsen TVs, I Pad and a spacious executive office desk. 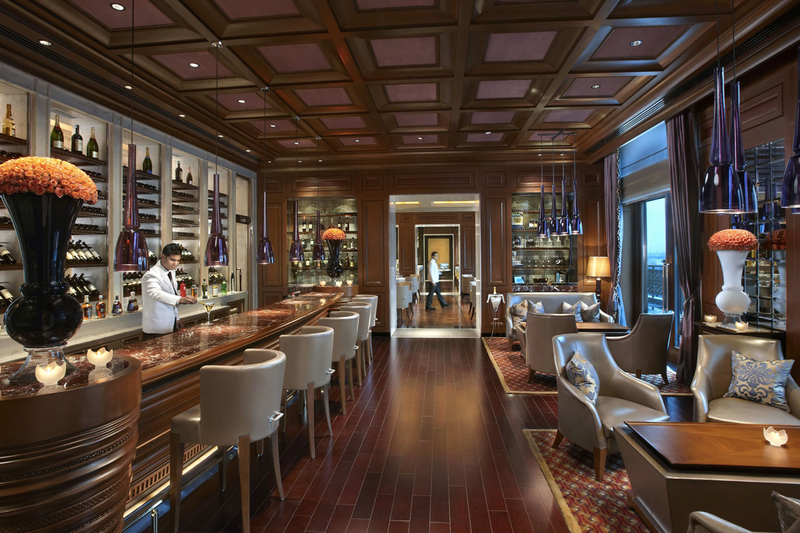 Presidential Suite – 1 key – An epitome of uber luxury, spanning over 4,800 square feet. 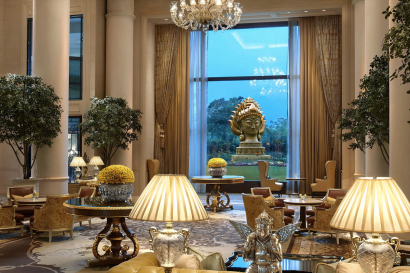 The opulence of gold leaf ceilings, intricate wood work, pure silver and semi precious stones art pieces, deep toned rich tapestry complimented with the state-of-the-art functionalities and exclusive facilities. An eight-bay suite comes with complimentary airport transfers in BMW fleet, 24-hour butler service, Asprey London toiletries, private gymnasium, two separate living rooms with a powder room, private study room, private dining room that seats 12 guests, 24-hour in-room dining, fully-functional butler’s pantry, a separate bedroom with a spacious walk-in wardrobe and the sprawling bathroom, Jacuzzi, a rain shower head and a couple spa suite. This suite comes with an option of an additional bedroom for more guests. The suite is equipped with bullet-proof glass. Royal Premiere guestrooms – 6- Inspired by intricacies of the royal design, offer spacious seating, walk-in wardrobe and elegant marble finished bathroom, making it ideal for leisure travellers. Spanning over 600 square feet, the rooms are well appointed with modern amenities providing a sweeping view of nature and plush greens at the palace. 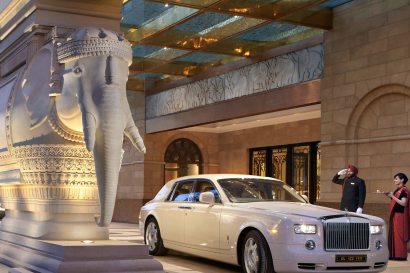 Royal Club guestrooms – 36 – Complimentary airport transfers through the hotel’s limousine service., Royal Club guestrooms span over 600 square foot, club lounge facilities like exclusive check-in, check-out and 24-hour personalized butler services. Packaged with host of unrivalled features and facilities including five complimentary food and beverage arrangements throughout the day, high speed internet, use of meeting room for two hour is an exclusive experience for our patrons. 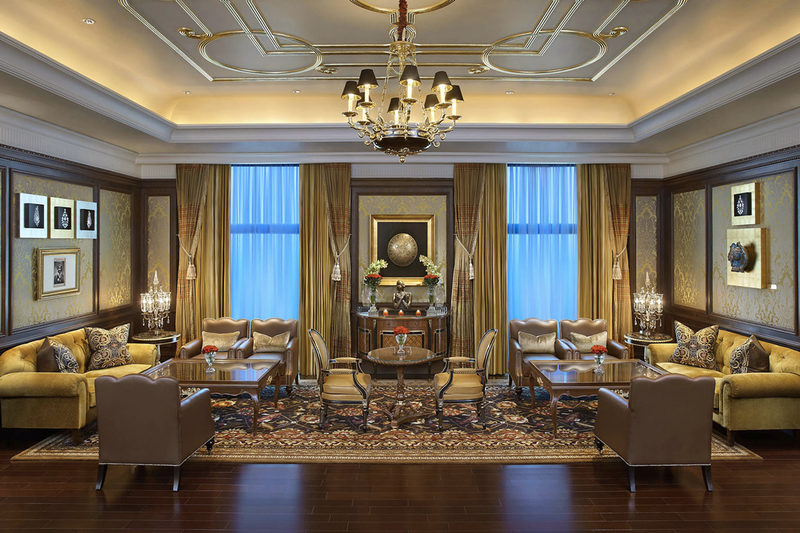 Royal Club Parlour– 6 – Treat yourself to a luxury stay at the Royal Club Parlour, especially designed to offer supreme comfort and luxury. 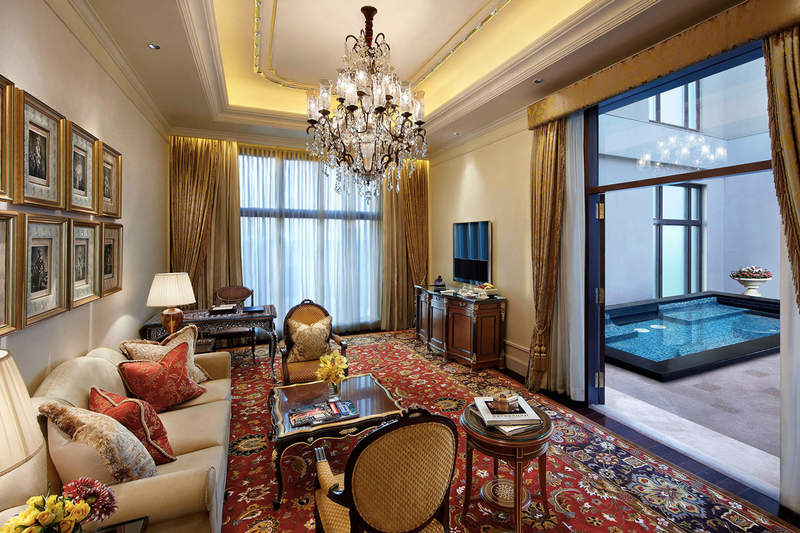 These suites exude the charm of Lutyen’s architecture and Indian interiors adorning the exclusive art work. The magnificent view overlooking New Delhi adds a distinct charm to the grandeur of the 700 square feet suite. 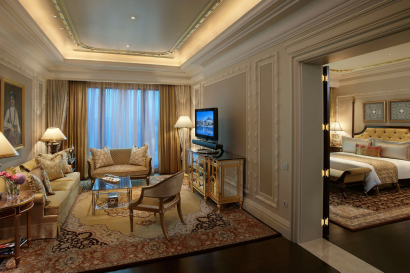 This suite is packaged with an elaborate walk-in wardrobe, a spacious bathroom with a rain shower head and an oversized bedroom that includes a lounge area, JBL IPod dock, round-the-clock butler service, in–built Ad Nortam mirror screen, spa mood–lighting and much more. Spa – The world-renowned ESPA at The Leela Palace New Delhi draws inspiration from India’s glorious traditional heritage, with the added benefits and comforts of contemporary styled spa rooms and advanced rejuvenation techniques. Spanning over 6,500 square feet, the spa features separate relaxation areas, sauna and steam rooms for male and female guests, seven treatment rooms, a spa suite for couples, a relaxation room for women, along with a fitness center with techno gym equipment and a spa café. 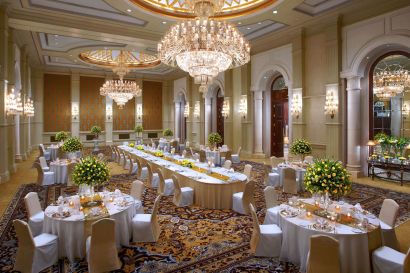 The 3,485 square feet Grand Ballroom has a pre-function area of over 500 square feet which provides an easy access to the Function Lawn. The Royal Ballroom, six meeting rooms and two board rooms provide a multitude of options for meetings of various sizes, and are ideal for small breakaway sessions from the Grand Ballroom. Spanning over 5,000 square feet, The Terrace Garden on second floor provides an ideal option for outdoor events. All meeting rooms feature the latest audio-visual equipment and sound-proof partitions that ensure multiple meetings can take place simultaneously. The business centre also comes with three internet stations with high speed Wi-Fi access. ‘Favourite Indian Business Hotel’ at Conde Nast Traveller Readers’ Travel Awards 2018. 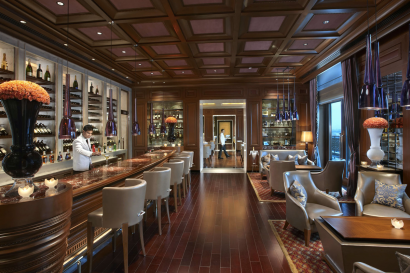 Ospitalita’ Italiana 2015-16 – Italian Restaurants in the World- Le Cirque is awarded Ospitalità Italiana Certificate for one of the top authentic Italian restaurants in the world, March 2016. 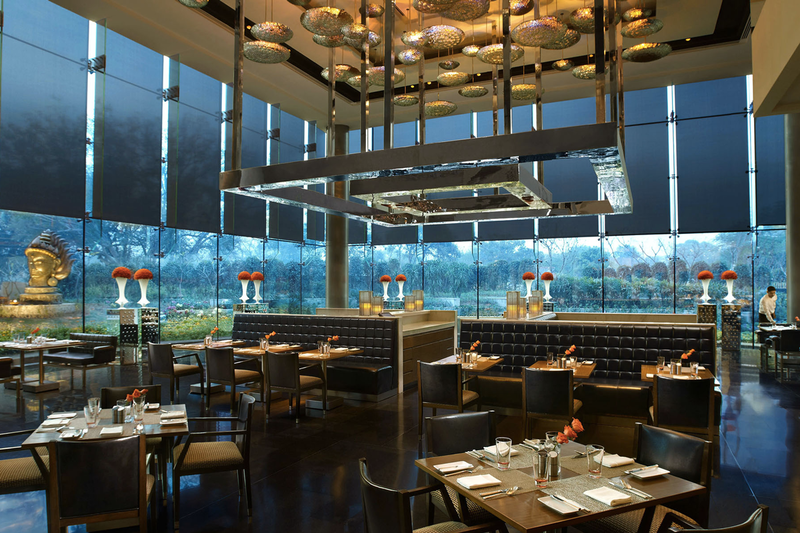 2016 Times Food and Nightlife Awards– MEGU and Le Cirque awarded as Best Japanese and Best French in Fine Dining Segment, Delhi NCR, March 2016.